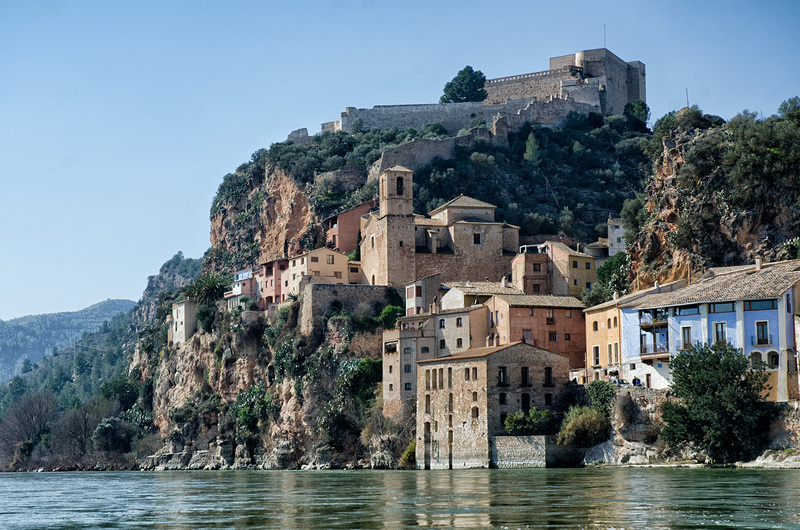 Declared as a site of national interest and opened to the public in 1994, the Castle of Miravet is one of those secret places of Catalonia that are a must in an avid traveler's agenda, only 50 kms away from famous Costa Dorada! 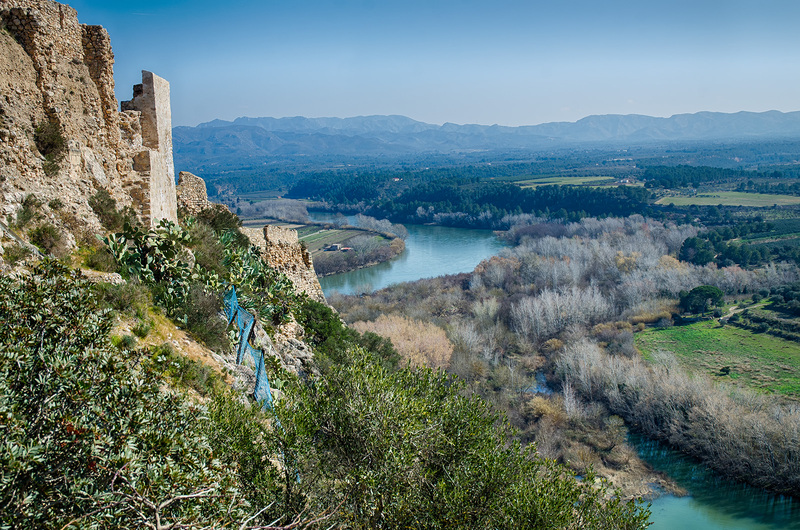 As you can appreciate above, the castle was built on a bend of the Ebro river and dominates over a landscape of fertile lands where vineyards are predominant. From the rock on which it stands one cannot avoid to recall those centuries of history behind the renown building and the villagers that enjoyed such remarkable views. From Iberians to Muslims, from Templars to feudal lords, from Carlists to Bourbons, from Nationalists to Republicans, each of them had the chance to rejoice in the same landscape. There were people here, according to the oldest remains found, since 2 BC, Iberians to be precise. Later, came the Arabs or the Moors, as they were known in Al-Andalus, the name they gave to their dominions in Spain. 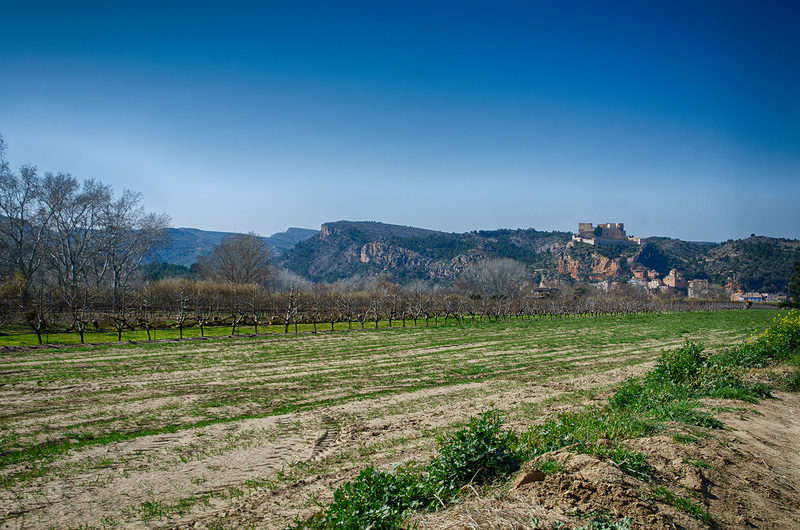 By the 11th century, they had built this impressive defensive fortress which was expanded in coming decades in order to protect themselves from military incursions of groups organized by powerful Catalan counts. Bear in mind that, after many years of prosperity toiling these lands, the time came when only Miravet and Siurana remained as the last redoubts of the Moorish period. It was Ramon Berenguer IV, one of those feudal lords, who took the castle from them and gave it to the Templar Knights. For almost two centuries they dominated the fortress which they improved until 1307, year in which, the Spanish Inquisition, instigated by Philip the Handsome, King of France, starts persecuting Templars in France as a result of which James II of Catalonia and Aragon sets on doing the same in Miravet. After two months of resistance to the siege imposed by James, Templars are imprisoned and sent to trials by the Inquisition. The order of the Temple is dissolved and their assets confiscated and transferred to the order of Hospital de Sant Joan de Jerusalem also known as Hospitallers. But if you want to know more about this Romanesque building and you are fond of Catalonia castle tours it is better that you visit this place and its idyllic enviroment.